Enjoy dinning outside taking a look at the well manicured garden. Big terrace with seating area to enjoy meals outside. This condo has direct access to the pool area. Enjoy nature right from the terrace. PACIFICO offers well manicured gardens and great 4 pools. Pacifico Complex offers 4 pools, kids pool and jacuzzi. The living room has plenty of seating plus a flat sreen TV. From the living room you have access to the terrace. This condo has a flat screen TV, WIFI and digital cable. Master Bathroom with wal in shower, double vanity and walk in closet. Guest bedroom with two single beds. The guest bedroom also features a TV in the room. Step into this gorgeous condo and you will know you are in the right place! 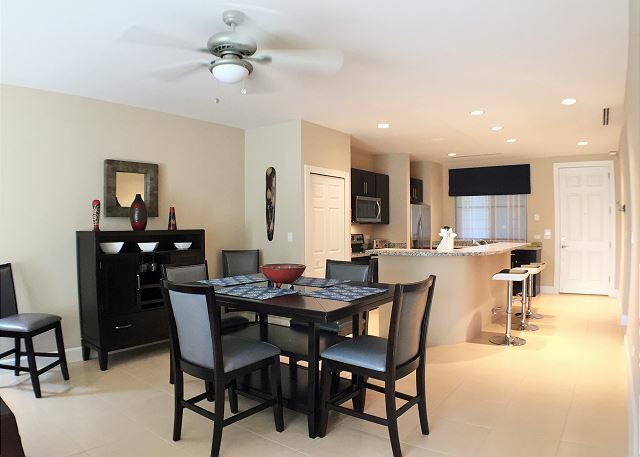 This 2 BR, 2 bath, pool view condo is custom decorated with plenty of indoor and outdoor living space. This brand new unit has new appliances, granite counters & bar, central air, washer/dryer, wireless Internet, indoor parking (garage) and 24h security. The terrace overlooks the impeccably manicured gardens and pool, you will enjoy nature all day long. This luxurious condo is just a ten-minute walk to Playas del Coco restaurants, the beach and Pacifico’s own shopping center. Enjoy the botanicals overlooking the oversized Lazy River pool or relax inside the bright, open living/dining room area. As a guest of Pacifico #L802, temporary membership to the exclusive Pacifico Beach Club is available during your stay for an additional $70 a week per person (per condo). The Beach Club is located around 1 mile from the community and free shuttle is provided every day. 88 % of our reviewers would recommend this vacation rental. We loved the location. The condo was absolutely beautiful!! We had a great time!! Coming back next year. Frazer was very helpful during our stay. I keep recommending Milagro rentals to all my friends. This unit, and the Pacifico complex in general, was perfect for our week in Costa Rica. 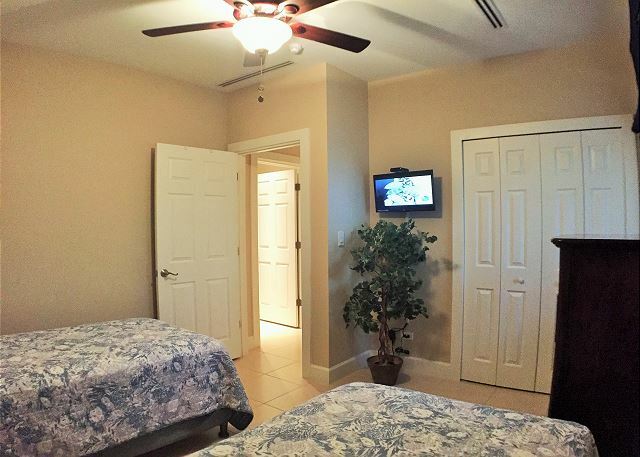 The complex is really nice and in a convenient location. We didn't want to eat out for every meal so it was great having a kitchen and access to grocery stores (at least 3 in walking distance). Most of our trip consisted of doing tours or relaxing at one of the pools, so we didn't spend much time in the town of Coco, but it was a quick walk into town to grab dinner or go to the beach. When we did tours, they picked us up at the entrance to the complex so it was really convenient. The unit itself was perfect. It was close to the pools but not right on them (which we liked). It was also just a short walk to the front of the complex (convenient for tours or walking to town). The patio area overlooked a nice grassy area (with the pool in the distance). Inside, everything was clean and modern. As a bonus, the leather couches were really comfortable and great to relax on after a long day. We spent almost every night at one of the lazy river pools and most nights we had a pool to ourselves. If you're around the complex during the day, the snack bar makes a delicious fruit smoothie. The thing that put this place over the top was the management. We worked with Frazer who handled everything without a hitch (check in, check out, airport shuttles, booking tours). Any time we wanted to book a tour, it was as simple as asking Frazer. We used Sibu tours for everything (including airport shuttles) and they were great (especially Diego). They have an office in town too if you prefer to book in person. During our stay we had one minor maintenance issue when the garbage disposal didn't work one morning, but we sent one email and it was fixed while we were out. Overall, this was much less expensive than a hotel and so much nicer. And it looks like they will have tennis courts in the future, which will make it even better. We would definitely stay again! Gary N does not recommend this vacation rental. Our vacation rental experience with Milagro was excellent, no added costs, right on time, beautiful complex. The apartment had everything, you could ask for. We felt like we would be at home. We loved to stay there and enjoyed the everything about the apartment. I will defenitly come back and recommend it to others. We spent the month of February 2016 at Pacifico. The development is a green oasis with lovely swimming pools. It is a short walk to grocery stores, bank and a multitude of restaurants. Milagro is a superb rental company and would highly recommend them. The unit was clean, well decorated and totally outfitted for our stay. We had a great view of the pool. We loved the unit. Even though the balcony had a table with 4 chairs, a couple of comfortable chairs would have made our stay complete. I always stay in Pacifico and always book through Milagro Property Management. They are professional and take care of the units.